Beyond the food and shopping paradise that it has come to be known for, Hong Kong also makes its name in the financial scene as the world’s leading banking and trading centre. Have you secured a posting to Hong Kong? Or, are you about to try your luck in the vibrant job market there? Let us take you through the first step of your relocation and settling into this Asian melting pot. Formerly a British Colony and once occupied by Japan, Hong Kong has risen from the ashes and eventually became a Special Administrative Region of China with a high degree of autonomy. Being one of the top financial cities in the world, Hong Kong's capitalist economy has been ranked the freest in the world for the past 15 years as per the Index of Economic Freedom. Its dollar is the 9th most traded currency, and the Hong Kong Stock Exchange is the sixth largest in the world. Hong Kong's prosperity has partially led to its position as the world's 4th most densely-populated country, with about seven million Chinese residents and expats squeezing themselves into 10% of the available land space. The promise of a stable career and vibrant lifestyle, however, is just the tip of the iceberg - you will be surprised with the endless possibilities Hong Kong has in store for you. Hong Kong is a melting pot of different cultures and expats from all over the world living together in harmony. Foodies and shopaholics will fall in love effortlessly to the city as they get lost in the busy shopping districts and tuck into authentic local dim sum delicacies. At night, it lives up to its reputation most number of high-rise buildings and brings you a skyline that will take your breath away. Hong Kong is a fusion of modern activities and traditional Chinese culture. Walking around the streets of Hong Kong is like traversing one portal to another. Expat assignees would find that there is more to working when they relocate here. The hustle and bustle of Hong Kong streets are mainly comprised of a lot of things, vibrant markets, colourful entertainment and above all, busy skylines. It is a world-renowned tourist destination as many visitors wanted to visit places such as the Disneyland, Madame Tussauds and the Avenue of Stars. But, the “Fragrant Harbour” is more than that for working expats relocating here. 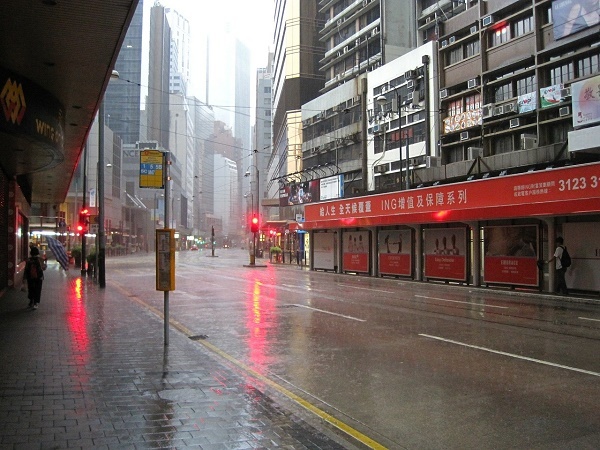 International assignees must be primarily prepared with the climate in Hong Kong. The toughest to deal with is summer wherein various things happen to many people. Due to the intensive heat in Hong Kong, many buildings prefer to maximise their air conditionings, causing many of their employees to have summer colds. Approaching summer season would also mean the arrival of typhoons from time-to-time. Expats may find this confusing, but it happens so best to get enough vitamins and stay hydrated. Western food and other international selections in a grocery store can also hurt one’s pocket. If expatriates still have not adjusted to bidding goodbye to specific products, then it would be best to bring some on their package once they move. It pays to have a good knowledge of what to expect. For example, it can be very hot during most months of the year, in which bringing more summer than winter clothes will be sensible, although this may also depend on when the person arrives. With Hong Kong's countless shopping centres, one may need to bring only as many as he or she needs before the shopping begins. Personal effects or items to be used by a single person such as jewellery, cameras and clothes will not be charged for duties. Other items may, however, require a fee while undergoing standard customs clearance procedures. The first requirement is a copy of the shipper's passport photo page and visa page, when applicable. The shipment must also come with a complete inventory. For dutiable goods evidence of ownership will be required, such as invoices, sales receipts, among others, as well as the declared value of the goods. Items under the Customs restriction list include fireworks, explosives, clasp knives, firearms, pornographic materials, drugs, foodstuff, paint and all animals and products of animals considered to be an endangered species. Hong Kong is one of the destinations with the least complications in shipment and customs requirements. Expats should then find it almost effortless to move items there. Locals in Hong Kong lead a fast-paced life, the hard work of the nation pays off, giving rise to high-standard of living, great infrastructure and tonnes of attractions. 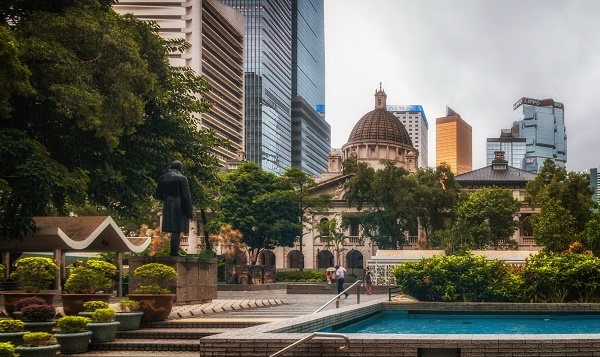 Being a former British territory and a current special administrative region of China, Hong Kong today has become a rare yet interesting combination of Eastern and Western cultures. Expats who are about to relocate here will find prosperous career opportunities and excellent quality of life in one of the world’s most modernised cities. 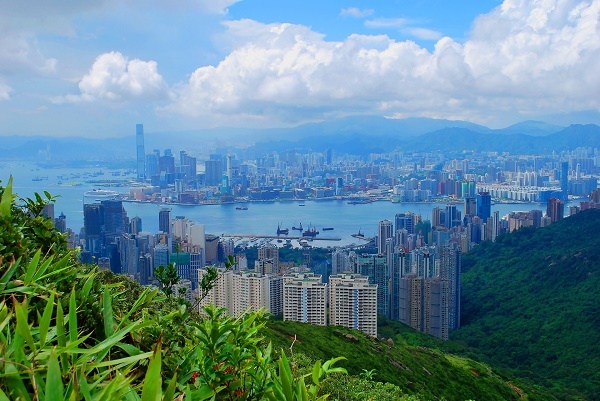 Since you have decided to start a new adventure in Hong Kong, it is important that you read the next few paragraphs that will give you some idea of what to expect when you move to the city. Hong Kong is also known as the ‘Culinary Capital of Asia’ which means that you will not run out of establishments to dine in and international cuisines to taste. Its food culture is a mixture of various influences but mostly by the British and Chinese. Expats coming from western countries will be pleased to know that many restaurants serve English breakfast such as fried eggs, sausage and toasts while those who want to eat Chinese-style can order dim sum, steamed bun or congee. You will also find several branches of McDonalds as well as French, Italian and Filipino restaurants. Aside from the regular high end or family restaurants, Hong Kong is also famous for its streets lined with food carts and stalls. Almost every neighbourhood has its food street, but one of the most visited is Dai Pai Dongs where you will find an abundance of seafood, noodles, stir fries, food on sticks, desserts and all sorts of snacks. Since you will not be dining out all the time, it is also important that you know where to get your groceries in Hong Kong. The two leading supermarket chains that sell western and local products are Wellcome and Park ‘N’ Shop that are both open seven days a week, from morning till night. If you are looking for fresh produce like meats, seafood and vegetable, you can go to the wet markets where you can haggle prices with the sellers. The most famous wet markets in Hong Kong are the Bowrington Road Market in Wan Chai and Graham Street Market which stretches from Queen’s Road Central to Staunton Street Central. There are also several malls like Times Square in Causeway Bay and City Plaza in Tai Koo Shing where you can shop or purchase your other daily needs. Festivities are one of Hong Kong’s famous attractions which define the locals’ love for feasting. Lunar New Year or Chinese New Year which starts every February is considered as the most famous festival in the city where people gather to eat and watch the fantastic fireworks display. Dragon Boat races are also a must see every 5th of June during the Tuen Ng Festival. Another event that you shouldn’t miss is the Mid-Autumn Festival which occurs on September where locals eat moon cakes and carry lanterns while moon-gazing on the hillsides. Given its subtropical climate, it is best to pack clothes made of cotton and linen for the summer and a raincoat for the winter. November and December are often regarded as the best months of the year as it is cool with plenty of sunshine. It gets colder in January and February, and temperatures can drop below 10°C. From May to August, it is hot and humid with occasional showers and thunderstorms. Day temperatures often exceed 31°C at this time of year. Come July to September, Hong Kong is often affected by tropical cyclones known as typhoons. There will be strong winds and heavy rain, so it will be wise to always have an umbrella in hand. Hong Kong is considered unitary; hence, the entire island is not divided into cities or towns. Although Victoria City, Kowloon and New Kowloon are known areas with legally stated limits, they are not recognised as cities or towns. Districts are determined regarding mountains, coastlines, and roads. In Victoria City, districts include Central and Western District, parts of Wan Chai and Eastern District; in Kowloon, Yau Tsim Mong, Sham Shui Po and Kowloon City; in New Kowloon, Wong Tai Sin and Kwun Tong. Even with towering skyscrapers, neon lights, busy malls, party zones and other cosmopolitan delights, Hong Kong is a Chinese Haven to its core. After all, 98% of the population is Chinese. The primary languages used by the locals are Mandarin and the Cantonese dialect. Make sure you familiarise yourself with Chinese beliefs before making that bold step to living or working in Hong Kong. If you wish to establish your own business in Hong Kong, make sure you consult a feng shui professional to advise you on the launching date, entrance, exit, positions of furniture and so on. Being superstitious people, the Chinese refuse to do business without a feng shui expert's permission, lest any misfortunes come to pass. The cultural etiquette in Hong Kong calls for humility. For instance, any compliments directed to Hong Kong citizens will be met with denial. Gift giving is a widely-observed tradition in Hong Kong as it displays respect and friendliness. Make sure you bring a gift for your first meetings, preferably something from your hometown. Lastly, learn how to use chopsticks!